Clinicians often do not recognize the importance of jugular venous pressure (JVP) assessment. It is NOT necessary to calculate the JVP in cm of water or mm of mercury. What is important is to determine whether the JVP is elevated or not elevated. Our guest blogger, Dr. Morton A. Diamond (AKA, The Professor), is Professor and Medical Director of the physician assistant program at Nova Southeastern University in Fort Lauderdale, Florida. He is the author of the F.A. 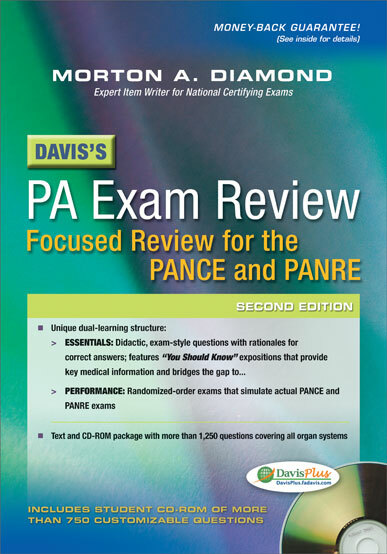 Davis title, Davis’s PA Exam Review: Focused Review for the PANCE and PANRE, and also of Medical Insights: From Classroom To Patient, a Jones & Bartlett publication. He has written tens of thousands of test items over his career and was a leading item writer for the National Commission on Certification of Physician Assistants. He also has forgotten more words than you and I have ever known and enjoys stumping his publisher with them as often as possible.